We believe that prisons should be used only for those who absolutely must be incarcerated and that those who are incarcerated should have all of the resources they need to turn their lives around. We also believe that human rights documents provide a sound basis for ensuring that criminal justice systems meet these goals. 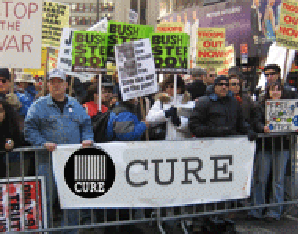 CURE is a membership organization. We work hard to provide our members with the information and tools necessary to help them understand the criminal justice system and to advocate for changes. Read about the history of CURE and its role for over forty years in advocating for reform of prisons and jails.